The statement dismayed us for a number of interrelated reasons. First, as was pointed out by Max Goldman, the statement seems to conflate “anonymity and ad hominem attacks, leaving it unclear what is being condemned.” Indeed, the statement seems to ignore the long and complex history of anonymity and pseudonymity. Of course the motivations for anonymity have varied considerably, but many essays have indeed been written anonymously to protect the author and were central to the formation of a productive discourse because they allowed for frank exchanges that were committed to ideas and less structured by the interplay of personalities, power dynamics, and politics. Indeed, anonymity remains a central pillar of peer review for exactly this reason. For the past three hundred years, anonymity has served to protect individuals in precarious positions who express uncomfortable or subversive sentiments. Anonymity was and is critical for speaking truth to power. Second, despite valorizing “the principle of frank exchange,” the statement is conspicuously silent on what exactly has precipitated this condemnation, and which specific attacks it is condemning. If the SCS Board values open and frank exchange, including openly expressed criticism, then why does its statement refuse to engage in these practices? Simply put, the statement fails to live up to its own ideals. Indeed, due to the statement’s lack of clarity, many readers of the SCS statement will assume, rightly or wrongly, that the statement is a response to a pseudonymous article about Mary Beard published on January 3rd, 2019. While we cannot be sure of the motivations of the author of that article, we think that it is virtually certain that they preserved their anonymity because they are a member of our community (i.e., a member of the SCS) who wishes not to be subject to retaliation (conscious or not). Given the precarity of the job market in Classics, only a small minority of our colleagues could indeed feel comfortable criticizing a prominent member of our discipline; even tenured professors are subject to significant pressures. Thus, the condemnation of the SCS Board effectively does two things. First, it risks characterizing the article mentioned above as an ad hominem attack without evidence or argument. It is not clear to us that the article meets this standard. Second, especially because other anonymous attacks (aimed especially against scholars of color and junior women) published online at Famae Volent and its successor have not been similarly censured, it risks communicating that the SCS prioritizes the interests of its most powerful and prominent members to the detriment of the less powerful and prominent, precisely those members whose precarity is such that they feel the need to maintain their anonymity. It is, however, the responsibility of the SCS leadership to defend and support all of its members. Thus, while it seems appropriate to us that the SCS should unequivocally support members who are subject to unjustified or ad hominem attacks, when it comes to reasoned and evidenced-based disputes within the SCS, it is important that the SCS Board be seen to act as a fair and neutral arbiter rather than an enforcer of established hierarchies. In our view, the Board is rightly concerned about such anonymous essays. The fact that people feel the need to write anonymously is indeed concerning and a sign of the substantial inequities within our community. The Board’s condemnation, however, simply reproduces the power dynamics that produced these essays in the first place. That is to say, the SCS Board has effectively created circumstances in which such essays can only be published anonymously, since the same content published by named authors would presumably be subject to similar condemnation. The SCS could use its power of the bully pulpit once again to censure them, a censure that could certainly produce very real and material consequences. The Board has thus virtually guaranteed that such criticism will be driven underground or conducted through private conversations. If the SCS is truly committed to producing an atmosphere conducive to frank exchange, then it must seek to understand the dynamics at play that motivate anonymous essays in the first place. That is, we should be asking: Why are we in this position? What concrete steps can be taken to improve the situation? To find solutions to these difficult questions, careful thought and deliberation are required, and more importantly, listening seriously to the concerns of the widest possible cross-section of SCS members, especially those whose voices have in the past been marginalized. 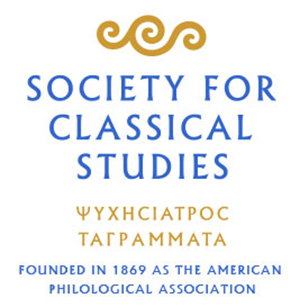 To be clear, we agree with the SCS Board that harassment and ad hominem attacks cannot be tolerated, but we do not think that the statement’s unilateral condemnation of an important form of speech is a productive way forward, especially in light of the power dynamics currently at work in Classics. We now reply to your letter (1/25/19) sent in response to the SCS Board's statement on anonymous, ad hominem attacks (1/22/19). Your thoughtful letter and the number of its signatories underscore that this is a complicated issue impacting many different aspects of our profession, even our daily lives. We discern two main strands in what you write to us. One is a dissatisfaction with our not distinguishing among different types of behavior on social media and other online venues; the other is the conviction, suspicion, or fear that the SCS reproduces systemic and oppressive power dynamics. Because both issues are tied to much larger and endemic problems, no single response will address every related problem or speak to each constituent of the SCS. We respond nevertheless: we are committed to open dialogue and to listening to our members, especially those who feel marginalized. We encourage members and non-members alike to contact SCS via social media or via email to the Executive Director and SCS President. We will also pay attention to publicly posted blogs that offer thoughtful criticism and that are brought to our notice. For some years the Board of Directors and several committees have discussed defining best practices about ethics in social media and online discourse. The statement issued by the Board of Directors on 1/22/19 was neither final nor complete, although it was a start. We see in particular that we were insufficiently attentive to the circumstances that can make anonymity necessary. In the coming months we will work on an expanded and more nuanced statement. But no single statement can fix the underlying problem, for which we must think broadly and work steadily. Historical inequality and marginalization because of race, ethnicity, gender, and other factors have shaped the SCS just like other American institutions and our society at large. More recently we have seen the number of K-12 schools offering Latin drastically decreased, Classics departments in colleges and universities squeezed by having faculty “do more with less,” the number of contingent faculty increased, Classics and humanities generally devalued, and expectations for tenure and promotion raised. Many if not all classicists often feel isolated and beleaguered. This is especially true of those who are just starting their careers, but also affects more experienced colleagues who work without the benefit of long-term job security or, in many cases, a single, full-time position. The restructuring in 2017 of SCS governance, which resulted in six divisions and 35 committees, was made precisely to address such issues. Although some progress has been made, your letter and recent events show that we still have far to go. Only by hearing challenges can we respond to them, and only by responding can we move forward. But we need collective action and thought. We welcome your energy and insight as we address the present and future of our shared discipline and profession. We are open to whatever suggestions you, and others, want to communicate.